Around 1985 Ivan the Cat, a local Cranbrook animator, spent many hours of labour creating a short three minute animated feature that he called “The Happy Tiger”. He drew and coloured each of the individual cells in the classic Walt Disney tradition of old. This was a labour of love, and, of course, an apprenticeship in his chosen profession. Upon completing the art work he decided for the sound track to use the classic Bix Beiderbecke recording of “At the Jazz Band Ball”. It was a bouncy happy tune that suited the theme of the feature. Besides, it had that sparkling bell like sound of Bix’s cornet. The recording dates from October 5, 1927 and to use this nearly sixty year old recording the copyright owners wanted twenty to thirty thousand dollars !!!!. Who were these copyright owners? It certainly wasn’t Bix. He died August 6, 1931 from a catastrophic alcoholic collapse. If it was his family’s estate that owned the copyright then that would be the supreme irony. Bix was estranged from his family. They didn’t approve of his career choice and they were barely on speaking terms when he died alone in his Queen’s apartment. He was only 28 years old. I suspect the copyright is owned by a music corporation that had no part in supporting, nurturing or caring about this talented individual. To this day that corporation continues to profit from the talents of the long dead jazz man. Over the past couple of hundred years there has been a determined effort by the corporate section to plunder “the commons” and take what was nominally free and turn it into a profit centre. Whether it be land, water, beach front access, what ever, if it can be usurped by the corporate community and turned to profit then it makes good business sense and we all know what is good for business is good for everyone. Right! So under the banner of intellectual rights parliaments are in full swing to enshrine draconian intellectual property rights into law. The logic is that artists need the protection of the law to ensure that they have full access to the fruits of their labor. I doubt anybody would refute that logic. But is that what is actually going to happen? Will the average artist ever get to share in this new found bounty? Probably not. In the discussion around the issue it becomes painfully obvious that the corporate sector and the law makers have no concept of how the creative process works. They work on the assumption that any given artist, artisan, writer, or computer programmer creates intellectual property out of thin air. There is no credence given to notion that artists frequently take what is already there and re-interpret and remould the material into something new and original. In the head long rush to protect what is rightful and just the powers that be will completely disrupt the creative process. Already there is software out there to analyze recordings to determine if there is any content that may be construed as an infringement of copyright. So if the software detects a fragment that it deems controversial then the creative process becomes still born. The artist become too frighten to complete the creative process or market the end product. Social commentators are having a field day with the stupidity of what is being proposed by the governments of the land. For a sampling go to YouTube and check Cory Doctorow’s seminars and discussions on the subject. Better yet get a hold of the documentary DVD “Ripped – A Remix Manifesto”. This is a brilliant over view of the issue. When, and if, the proposed legislation sees the light of day, the big question is will it be enforceable. And if so, to what end? In reality it is meant to protect the property rights of the film and recording industries and not ‘the poor starving artists’. It is all an exercise in futility. Given the rate of technical change and the current shear mass of infractions of the law it will be unenforceable. And that’s the old story; once a law becomes unenforceable it is no longer the law. Just take a look at the recent legislation in Quebec meant to curb student protests. Despite the draconian nature of the new laws it has failed to stop the student protests. Students in mass just simply ignore the law and the prospect of arresting thousands of demonstrators is too stupid to even contemplate. So, in the end will copyright laws play out like the old anti-drug laws? Huge amounts of time, money and energy going to the non-productive efforts of making petty criminals out of copyright “abusers”, clogging up the legal system and filling jails with non-criminals. In one’s darker moments a conspiracy theorist could well imagine the Harper government changing the legal system and building more prisons, despite the fact that criminal acts are on the decline, to accommodate a whole new class of criminals – the copyright violator. To what end? Possibly the privatization of jails to create more wealth for the corporate sector? 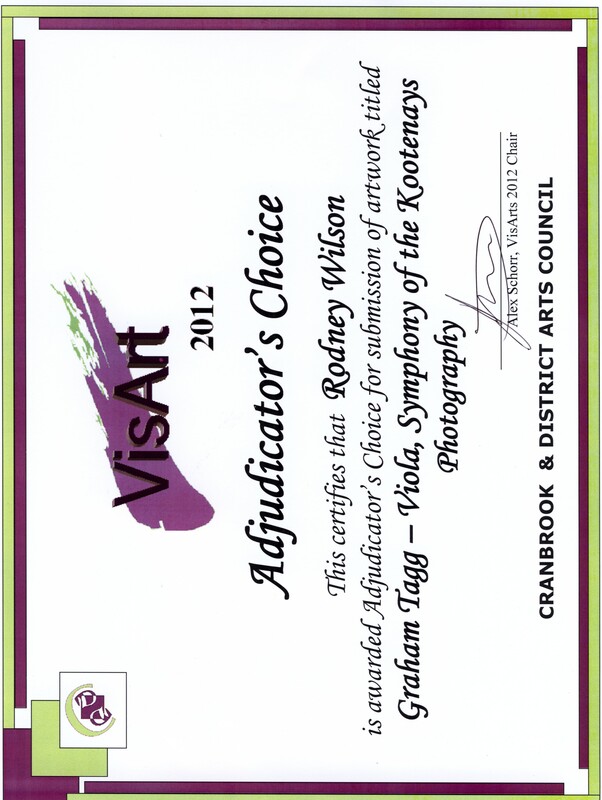 It’s that time of year again – The annual VisArts exhibition of the Cranbrook and District Arts Council. The show will run from June 12th to July 10th, 2012. Artists wishing to submit work need to complete an entry form and submit the art by June 6, 2012. For more information contact Lyndell Classon at the Artrageous Gallery 250-426-4223. This image was captured during rehearsal of Ballet Jorgen at the Key City in March 2012. The image below was captured live off the floor during a symphony concert at the Key City Theatre in October 2010. Forgive me but I think the audience may have missed the major thrust of the president’s message at the recent special board meeting of the Symphony of the Kootenays. It’s not a question of if the appropriate grants have been applied for? or are there untapped sources of money out there? I think his point (among many) – Is it ethical to take money from whatever sources to subsidise concerts that only attract an audience of 250 people – that’s nearly a $100/head for performances that people have voted with their feet by walking away. I agree with him. At $23,000 per concert I think we could get a much bigger bang for our classical music buck with a different approach. 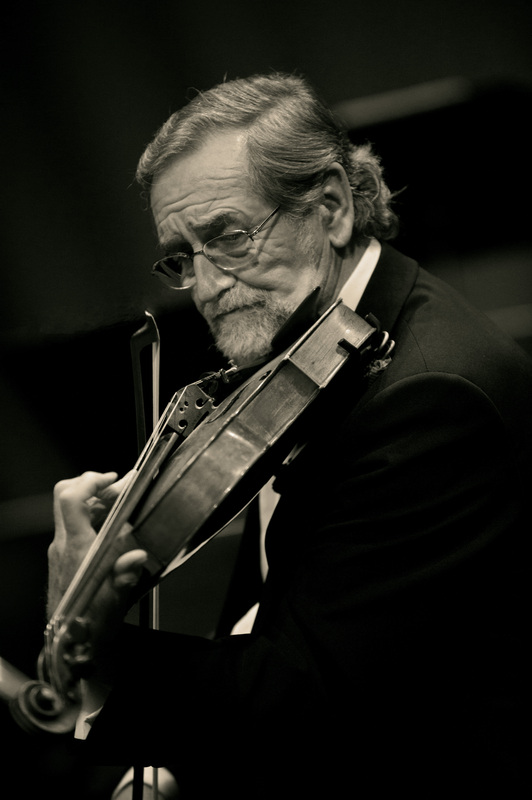 For the cost of one concert you could probably run a full season of creative chamber music. I have been to a significant number of adventurous chamber music concerts over the past few years that have been self produced at an almost insignificant cost by the artists involved. Having said that those concerts, by and large, have also been poorly attended. The exception might be the magnificent SELKIRK TRIO a couple of weeks back. But at least the artist(s) is taking the risk, developing adventurous programming and getting the music out there. I think our energies could be better directed away from the symphony to the artists out there bucking the trends trying to create their own audiences. What we need is a Chamber Music Society to support creative music and the artists who are trying to make a difference. That would be time better spent than trying to refurbished a symphony society. Second point is that audiences have the ability to hand pick and customise their own entertainment agenda. That is a recent development and one that is going to continue unabated. This is particularly applicable to classical music. For example it is possible to buy the complete Bach catalogue on CD for $150 – that’s 150 CDs , less than a buck a CD. I have actually seen this particular box set on sale for $100. I know people say it’s not the same thing as a live performance and while that may be true I contend that on CD you have access to the great orchestras, great artists, the great interpretations, etc. Over and above that a live performance is a bonus. As the chairperson of Archiv Music recently stated “we are living in a golden era of recorded classical music”. What is available out there is astonishing. The record companies have huge inventories of state of the art recordings accumulated over the past 40 years and they are releasing them at extraordinarily cheap prices. Even iTunes cannot compete with that. Third point – demographics. The average age of the people in the room that night must be approaching at least 60 or even older. So its not a question of funding it is a question of demographics. People under the age of 40 do not attend classical, jazz or any concerts of seriously creative music. Watering down the programs is not going to change that. The fact of the matter is that people have forgotten how to listen to live music. There is a different ethos involved and it is one that needs to be learned. It is not only creative music that is suffering. It is happening right across the musical spectrum. 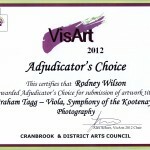 In Cranbrook there is no longer a public music scene. That disappeared ages ago. Musicians have retreated from public view and live music is a thing for private enjoyment in small gatherings of musicians playing for their peers and friends. In that setting there is some pretty incredible music being played in the area. An additional point I would like to make is that the spiralling upwards of costs is only just beginning. The cost of transport alone has probably risen by over 30% in the past 5 years and will probably double in the next five. If a touring rock band going from town to town and playing bars is unable to recover costs what chance is there for an orchestra of 15-20 symphony musicians. As I said at the meeting I think Hans and the board have been incredibly brave to get up and say what needed to be said to an audience that is so emotionally attached to the idea of a symphony orchestra that they didn’t want to hear the unvarnished truth. I don’t think it is a case of grit your teeth, overcome the obstacles and the orchestra will survive. There has been a paradigm shift in just about every aspect of modern life and we need to make appropriate adjustments. In my opinion, the symphony, maybe, can survive this present storm but it is only a matter of time before the inevitable conclusion is reached. Let’s recognize it and move on. Hello world and my first attempt at setting up a Blog. The object of the idea is to supplement or even replace my performing arts email newsletter (ABOVE A WHISPER) that has been running for several years. It appears that the local newspapers seem to be withdrawing (sorry Barry and Karen) their coverage of local events and as I feel passionately that performing artists need a forum I hope this Blog will fill the void.